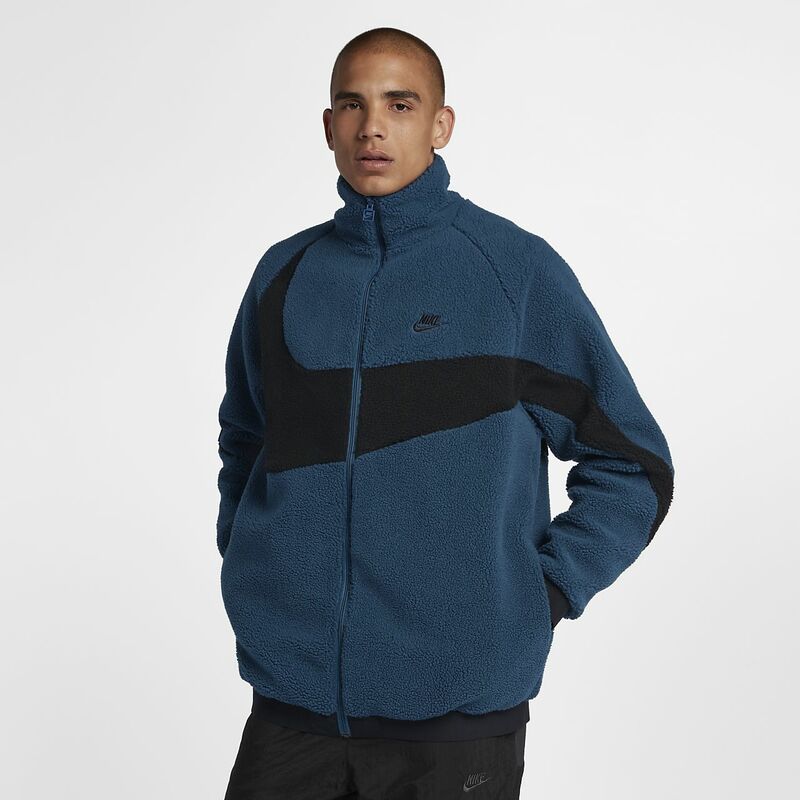 The Nike Sportswear Jacket features raglan sleeves for natural range of motion and a reversible design so you can switch up your looks. Raglan sleeves eliminate shoulder seams so you can move naturally. Reversible design allows for versatile styling. Full-length zip provides easy on and off. Fabric: Outer body: 83% polyester/17% acrylic. Inner body: 100% nylon. It is very good. Size is a little big, but very satisfied. I buy another color !!! Very satisfied.